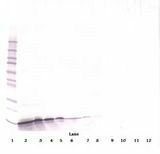 MIG antibody LS-C104436 is an unconjugated mouse monoclonal antibody to human MIG (CXCL9). Validated for ELISA and WB. CXCL9 / MIG antibody was raised against e.coli derived recombinant Human MIG. 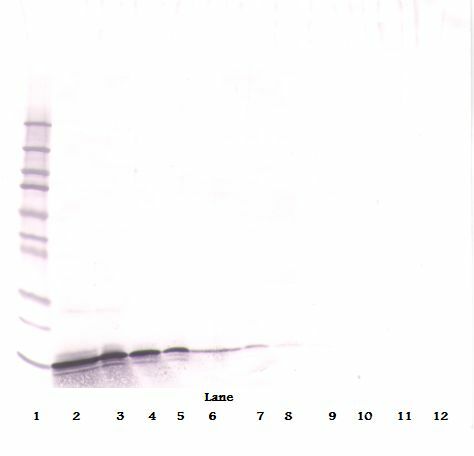 Neutralization: To yield one-half maximal inhibition [ND50] of the biological activity of Human MIG (100 ng/ml), a concentration of 5-10 ug/ml of this antibody is required. ELISA: In a sandwich ELISA (assuming 100 ul/well), a concentration of 2-4 ug/ml of this antibody will detect at least 1000 pg/ml of recombinant human MIG when used with biotinylated antigen affinity purified anti-human MIG (LS-C104825) as the detection antibody at a concentration of approximately 1-2 ug/ml. 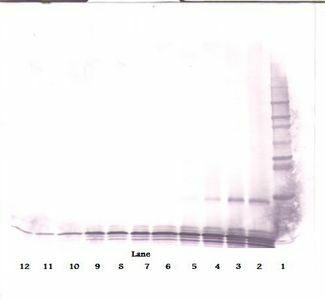 Western Blot: To detect hMIG by Western Blot analysis this antibody can be used at a concentration of 0.50-2 ug/ml. Used in conjunction with compatible secondary reagents the detection limit for recombinant hMIG is 0.25-0.50 ng/lane, under non-reducing conditions and 2-4 ng/lane, under reducing conditions. Store Lyophilized at room temperature up to 1 month; Reconstituted for up to 2 weeks at 2°C to 8°C. Aliquot and freeze at -20°C for long term storage. Avoid freeze/thaw cycles.